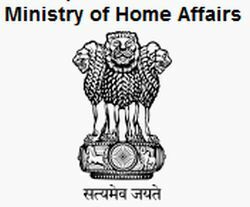 IB PA Previous Papers/ Model Paper 2016- Ministry of Home Affairs, Intelligence Bureau (MHA IB) has released new recruitment notification to fill up Personal Assistant (PA) posts. Who want to become MHA IB Employee and eligible candidates may apply online mode before last date by visiting official Online Application link (Link is given Below of the Page). Candidates also check other details related to MHA IB Recruitment 2016 like how to apply, selection process, previous question papers, solved question papers pdf, salary, and more details are given below. Name of the Post: Personal Assistant (PA). Dictation: 10 Min @100 words per minute speed. Skill test on computer‐transcription of shorthand, 40 minutes (English) and 55 minutes (Hindi). Application Fee: Rs.50/- and No fee for SC/ST and Female candidates.